WHAT on earth could possibly possess someone to take on a 2,500km journey across India in a rickety old tuk-tuk? Well, apparently, stumbling across a YouTube video while in between jobs will do the trick. When Inessa “Nessa” Fouquet, who’d just quit her job in Singapore to move to Malaysia with her fiancé, Hafiz Faizal clicked play on YouTube on one fateful day, she was instantly enthralled with what she saw — The Rickshaw Run, a thrice-yearly charity race organised by United Kingdom-based The Adventurists. They host a variety of adventure races each year, with the goal of raising funds for charities around the world. The Rickshaw Run is just one of their many popular races, done in an iconic “7 horsepower glorified lawnmower”. With three routes taking place in January, April and August; it’s a pan-Indian adventure that boasts no set routes, no back-ups, the promise of multiple breakdowns, getting lost and hopelessly stuck … basically, intimidating things that only the brave or wildly clueless attempt to tackle. Teaming up with another friend who was in between jobs, Nik Johann Annuar, the trio named themselves Team Jenggols and started making plans to conquer India in a vehicle that isn’t remotely capable of moving any faster than 55kph … downhill. After managing to raise the required £1,000 (RM5,468) for Cool Earth—a charity that pledges to save at-risk rainforests and shield millions of acres of neighbouring forests by empowering local people and giving them the resources they need to keep their forests intact — Johann, Nessa and Hafiz flew to India with a pittance in their pockets but their minds set on an unforgettable adventure. When they met their tuk-tuk; the auto-rickshaw that would be their trusted companion for the next two weeks, they cleverly christened it “Appu” — a name that doesn’t get more Indian. With broken headlights and an engine that simply would not stop breaking down, Appu ended up only being able to make headway during the day. After spending several hours on a darkened stretch of road on the first day with only their iPhone flashlights as a source of illumination and fearing for their lives, the trio wisely decided to stop trying to drive at night. Soon, though, they started to really embark on their epic journey and began to appreciate the friendliness of the locals, the beauty and simplicity of the terrain, and the infinity of the vast landscape before their eyes that constantly changed as they traversed muddied backwater paths. 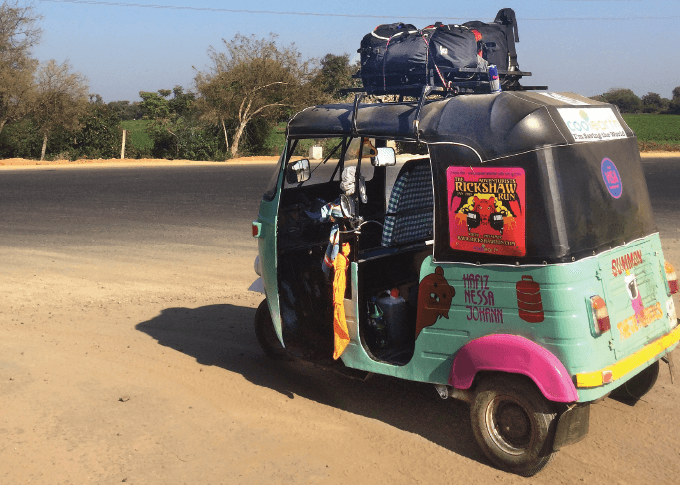 From their starting point at Kochi in the south to their finish line in Jaisalmer in the north, the trio made all sorts of unlikely friends — from kids playing football to fellow tuk-tuk drivers and mechanics who did not speak English. “It was difficult when Appu broke down because we couldn’t explain the problem to the mechanics. Tuk-tuk drivers are considered the bottom of the food chain, so to speak, so none of them could really speak English. So we had to improvise and Hafiz discovered that if he spoke English in an Indian accent, they could understand him better,” said Johann. While enduring nights in dilapidated motels and gruelling days travelling through the countryside, they each got to reflect on not just their lives, but the meaning of life in general, and learn how to take one day at a time, just like the Indians do. “I used to get really worked up by everything. Like in the beginning of the trip, I was always trying to keep to a schedule and would freak out when we fell behind. But after a while, I realised that there was really no point in worrying about things that I couldn’t control,” explained Nessa. In fact, one of the most important things that the three of them learned about themselves during the trip was that they are actually capable of doing something so adventurous, so difficult, but yet so rewarding. “I never really thought that I would be able to do something like this because I’ve travelled, but I’ve done stupid travelling — shopping, monuments and stuff. This was like throwing yourself into the deep end, and trying to swim out of it. But it’s the best way to travel,” Nessa said. 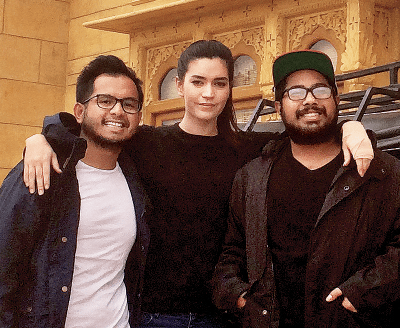 “This whole trip has made me more confident and taught me that you can do anything if you want to — you just need to get off and get it done yourself instead of relying on others,” Hafiz declared. Of the 90 teams that took part in this particular rickshaw run, there was a significant percentage of them who were on an Eat Pray Love-esque soul-searching sort of trip. They were made up of all sorts of people: disillusioned bankers, married people going through a mid-life crisis, to some hippie types who’d declared that accomplishing these sort of cross-country trips was their purpose in life. Surprisingly, though, Team Jenggols was the only team with Asians in the entire race. In fact, Johann and Hafiz felt like they easily blended in with the locals, and seldom encountered people who looked at them weirdly — except for those who noticed that they were travelling with a white girl. 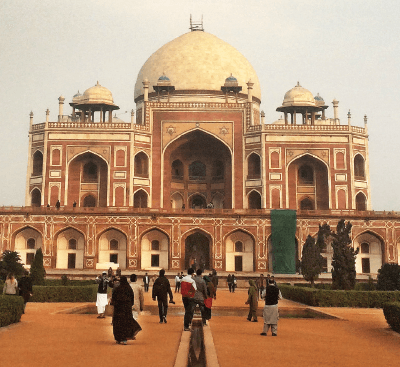 After their gruelling two-week trip from Kochi to Jaisalmer was completed, Johann, Hafiz and Nessa spent a further two weeks just exploring India — visiting touristy sites this time. They’re not done, though. As soon as they can, they are most definitely heading back to India again. If one thing is for sure, it is that all the trials and tribulations that they faced on The Rickshaw Run have not only changed them forever—it has made them inexplicably in love with one of the most historical, multicultural and intriguing countries on earth. For information about The Adventurists and The Rickshaw Run, visit www.theadventurists.com.